I used the FREE pattern by LIttle Kiwis (link HERE.) 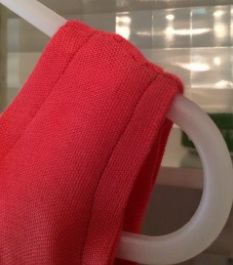 This pattern is super easy and I really recommend it. 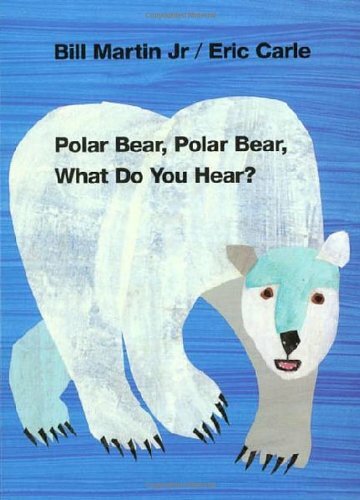 In this final project for Kids Clothes Week, I made a little vest for Zoe based on the book Polar Bear, Polar Bear, What Do You Hear? 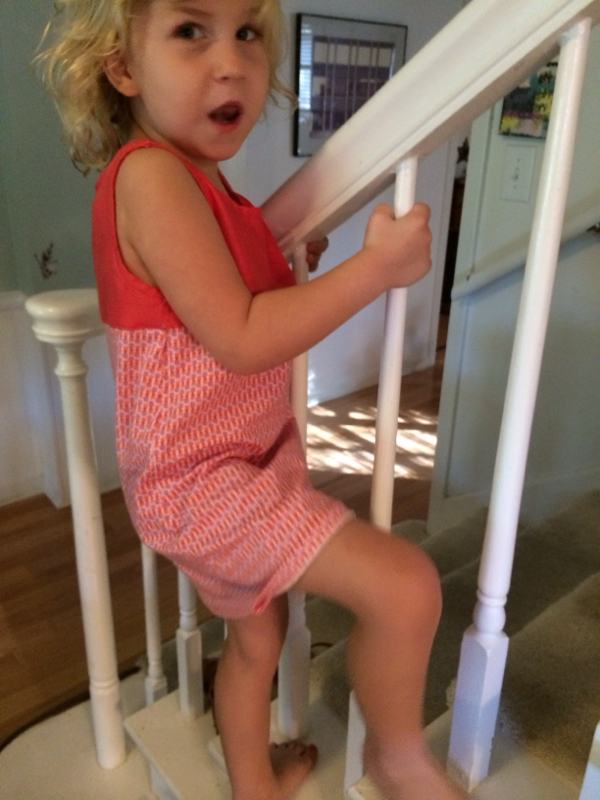 The final day of Kid's Clothes Week! Today I'm posting some warmer weather clothes, this hoodie dress and a snowy vest. 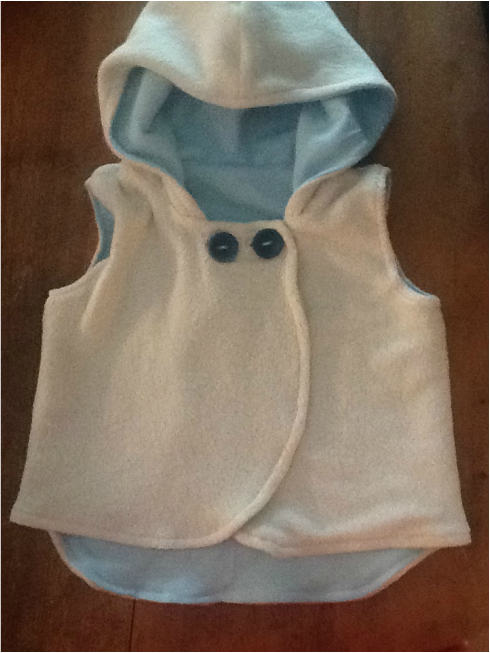 The hoodie vest is based on the colors of Jack Keat's Snowy Day book. I used the VERY GOOD Boardwalk Hoodie and Henley pattern by PeekabooPatternShop. 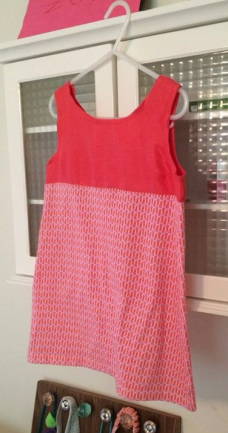 Fabrics were a repurposed jersey dress and Riley Blake hot pink knit. Have you read any of Ayano Imai's books? We have three that we love: Puss in Boots: Chester; and Mr. Brown's Fantastic Hat. 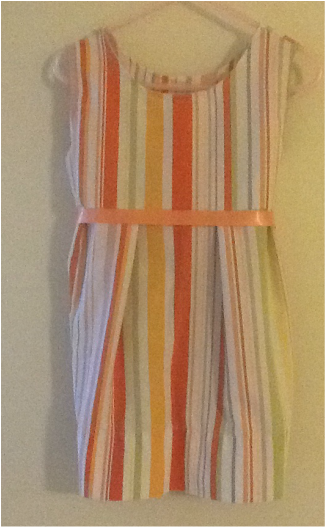 I created this dress for Zoe based on the fabulous reds, oranges and browns in Puss in Boots. I think it will be perfect for a Thanksgiving dress -- remember, we live in Texas and usually spend the winter holidays in short sleeves. Are we blessed? 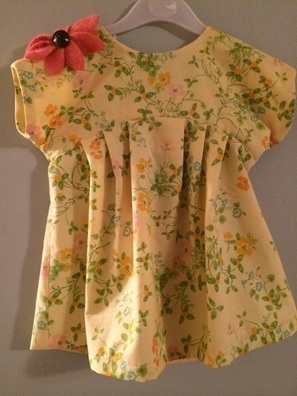 This dress is based on my go-to pattern, Child's Summer Frock at the Burda website. 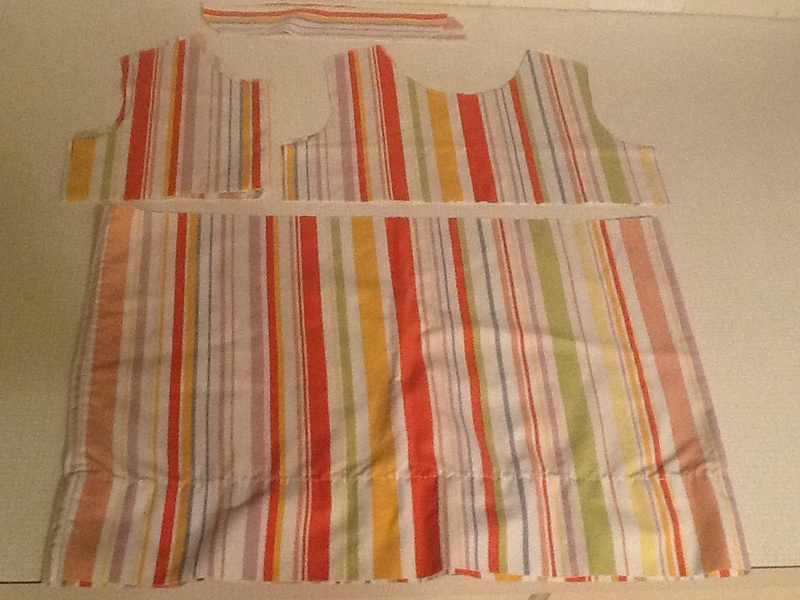 I shortened the bodice and lengthened the skirt, used pleats instead of gathers, and spliced a middle panel in the bodice. Fabrics are all repurposed, including two napkins from World Market! 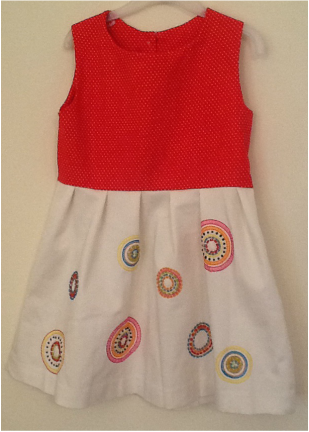 See more clothing based on storybooks for Kids Clothes Week here. 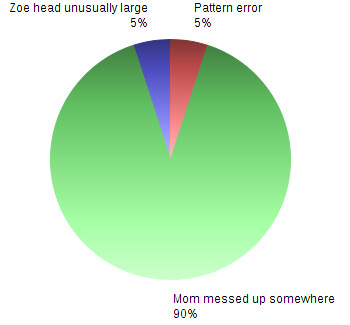 Oh, we're halfway through Kid's Clothes Week, and my eyes are about to cross! But I am having so much fun participating in this sewing challenge. 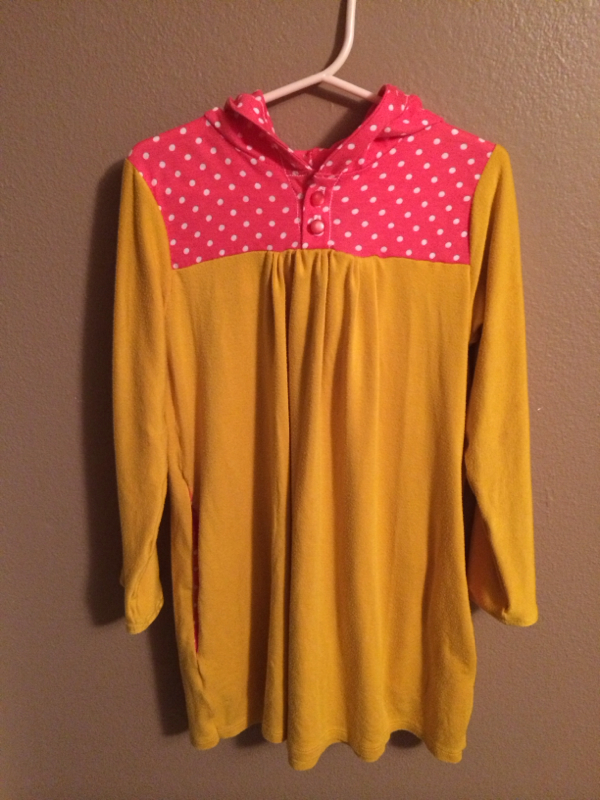 In keeping with the theme of clothes based on storybooks, I offer up this little dress based a book Zoe loves, Lots of Dots by Craig Frazier. I had put this stitch dot white skirt in my fabric stash a year ago, but had never been inspired to use it. And in fact, I sat for at least a half hour at my table before getting up the nerve to cut it, thinking, "Well, what if I actually do slim down to a size 8 again?" Finally I said a little prayer, made a committed snip and broke my paralysis. 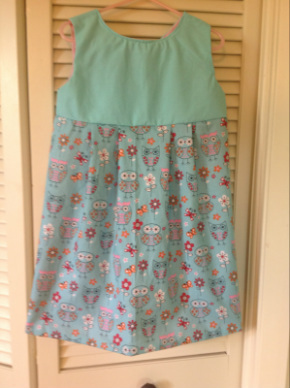 I used The Sewing Rabbit's free pattern, The Jackie O Dress. You can find it here. 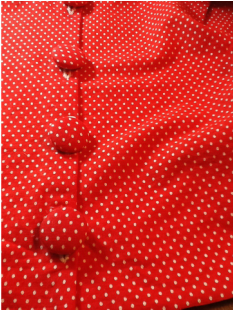 I paired the white stitch dot skirt with Riley Blake's small red dots cotton, which you can find many places, including here. 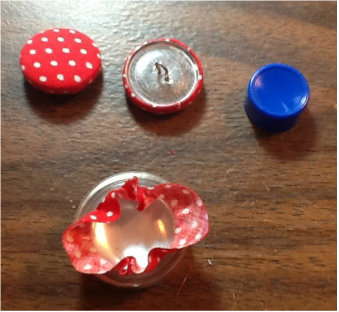 I got to try making covered buttons for the first time, thanks to a little kit given to me by a friend. I really like them! 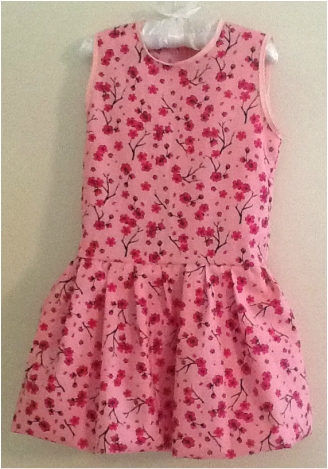 To see more clothes from Kid's Clothes Week Storybook Theme, click here. 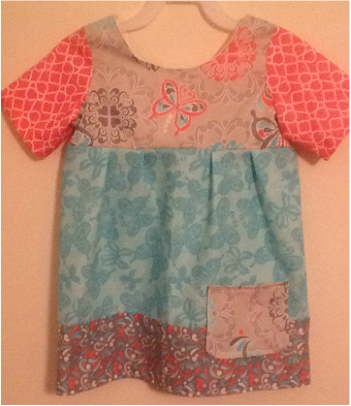 This run and play dress was constructed from using two adult tops, a blouse from Ann Taylor and a t-shirt from Target. As part of Kids Clothes Week (October 20-26) I will be making sewing 14 projects based on the books Zoe loves most. 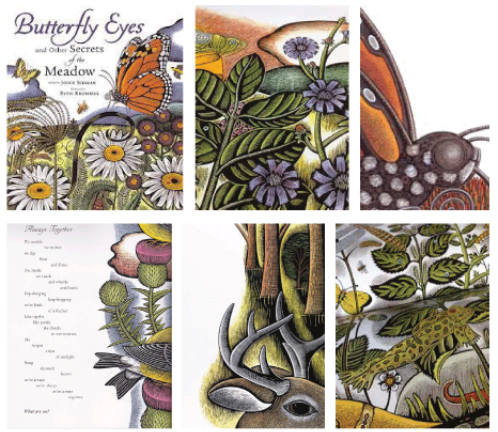 For Kids Clothes Week, I knew I'd want to design something around one of Zoe's favorite books, Butterfly Eyes and Other Secrets of the Meadow by Joyce Sidman. 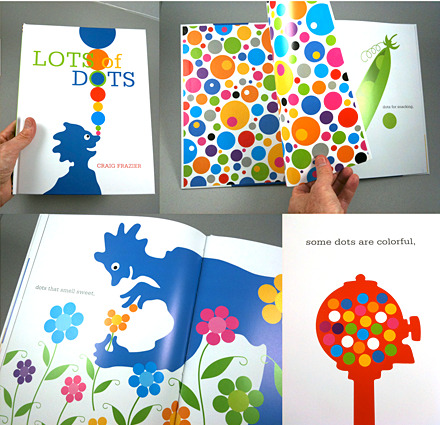 The illustrations are just gorgeous, and Zoe requests it just about every third night. 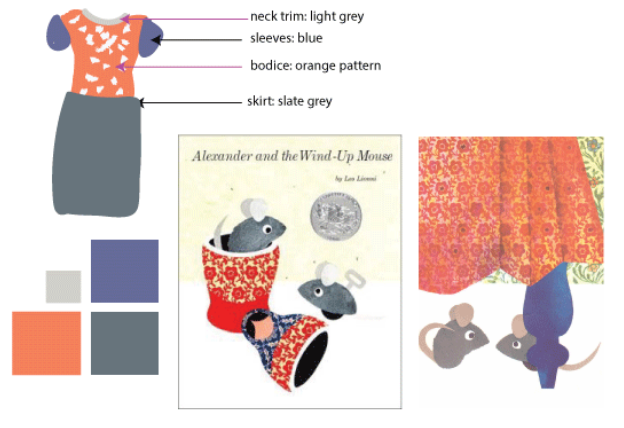 An active dress based on the book Alexander and the Wind-Up Mouse by Leo Lionni. 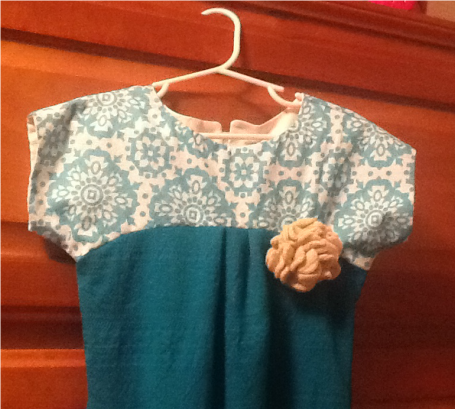 The fabric is from Jo-Anne's and I snagged the free pattern (LINK) from StraightGrain. I used pleats instead of gathers. 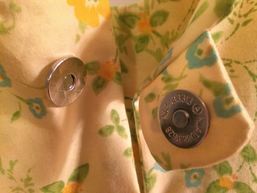 This is an easy pattern to make, and since my buttonhole foot is at the repair shop, I used a magnetic snap instead of a regular button. My go-to free pattern and tutorial (LINK) is on the Burdastyle website. This project was challenging, however, as I married a knit to a looser-weave scarf material, lots of expletives used during the learning process! The dress comes from a free pattern and tutorial (LINK) on the Burdastyle website. 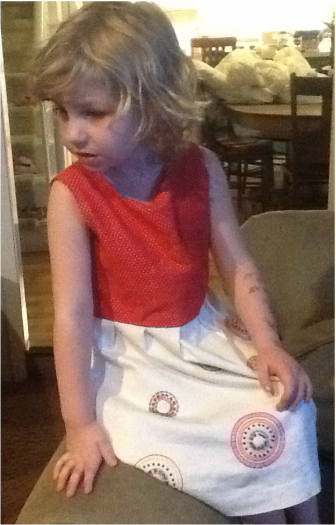 Had some sweet eyelet fabric left over from another dress, and decided to use it for Zoe's spring school picture dress. 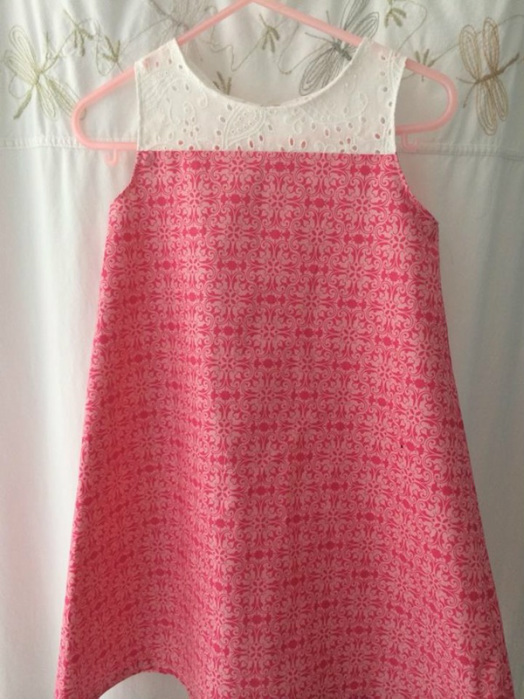 I used the free A-line pattern (LINK) from the Climbing the Willow website, just adding a 1/2 inch seam allowance at the bottom of the bodice and the top of the dress bottom to put the eyelet and pink fabric together. 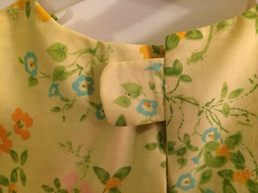 But I did fix it -- by cutting a slit in the back, finishing the raw edges with a small seam, and adding a button and small piece of elastic. Yahoo!!!! 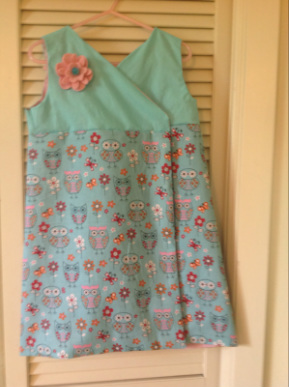 ​And below is the finished dress. 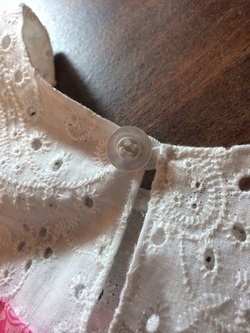 Unfortunately, I made a mistake somewhere along the skirt directions. Oops! Good thing this beginner sewer always buys extra fabric! I made a simple lined skirt with a few pleats, and I think it came out okay. I also made a simple wool felt flower pin to wear as she chooses.